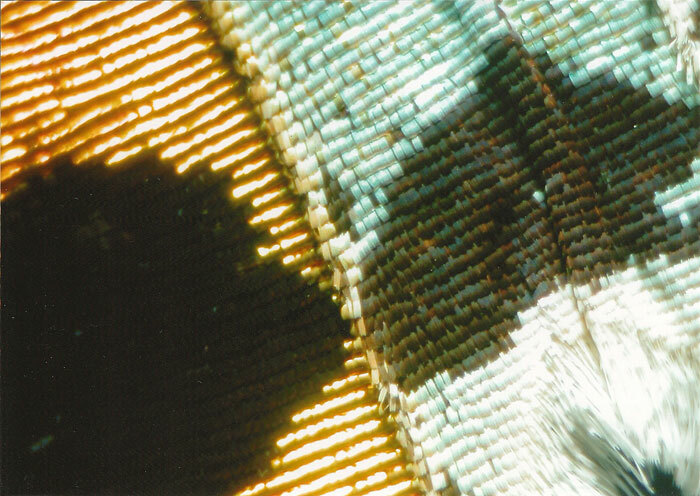 The images show scales from different parts of the wing – taken with a Nikon Coolpix 4500, set up on a Watson System 70, with ×10 objective. The wing is illuminated with a very oblique light source, set up to light the scales in the direction that they lie along the wing. 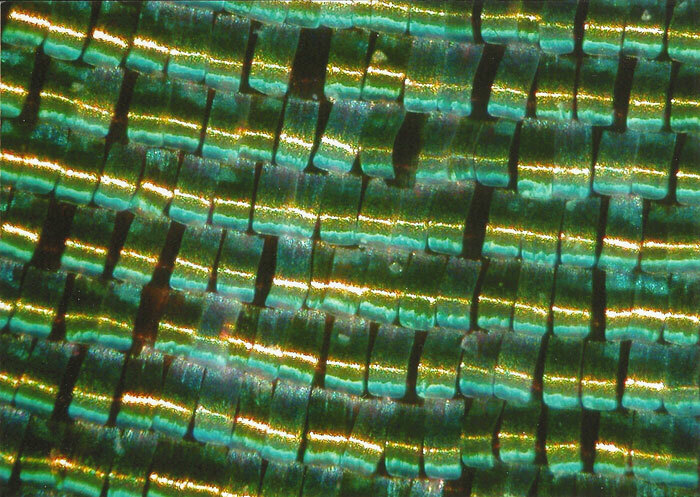 It is surprising to see how curved the scales are, and the light source is particularly strongly reflected from the top of the arch. 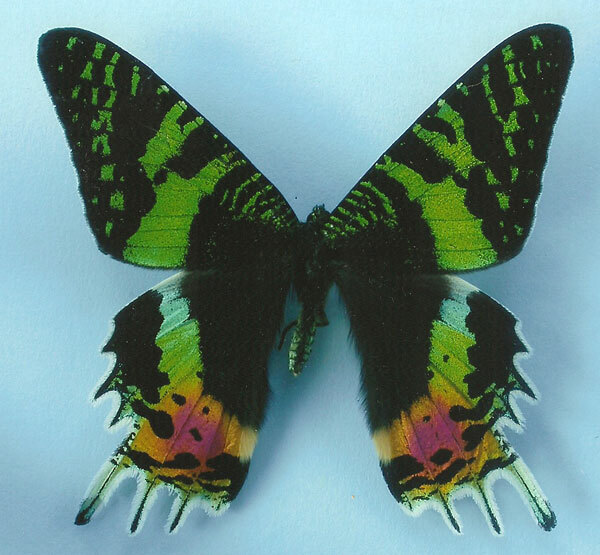 The moth is Chrysiridia ripheus (Drury) and is from Madagascar. It superficially resembles a swallowtail butterfly, but really is a moth in the family Uraniidae. 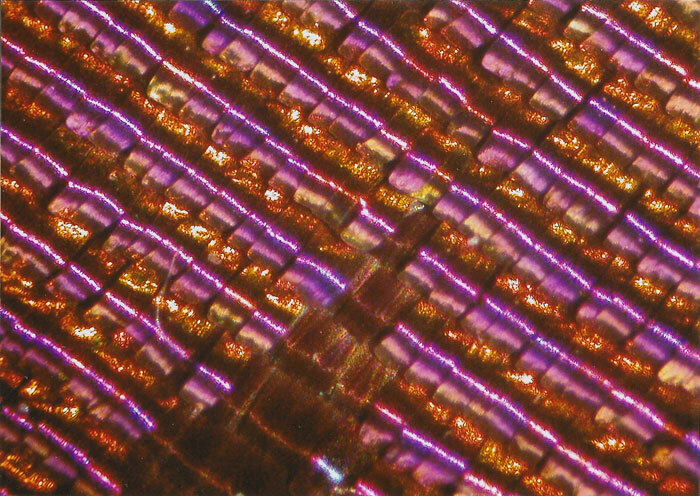 It has been referred to as the most beautiful moth in the world, and it was once used in the costume jewellery trade in Victorian times. The caterpillar feeds on leaves of Omphalea, which is a poisonous genus of the Euphorbiaceae.